Judging by the Cover – 11/21/18 new releases – AiPT! In that spirit, here are the covers that captured Event Coordinator JJ Travers and Manga Editor Eric Cline’s attention this week. This cover art is absolutely gorgeous. I love the simple use of two colors and the pattern of red on black on red on black. 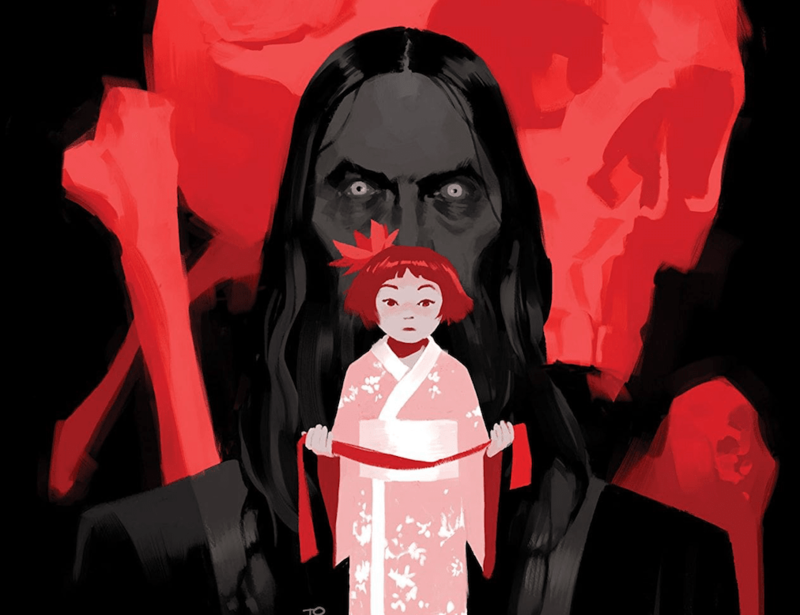 You just know this little girl is going to experience atrocities at the hands of the ominous figure behind her, but you still want to see it happen. The story is a supernatural spy thriller origin story for Lobster Johnson’s greatest adversary. You sold yet? Scott Snyder’s Justice League run is fantastic, and its one of the DC series I’m actually managing to keep up on. But James Tynion’s Legion of Doom interludes have easily been my favorite part of the series thus far. Jimenez created a badass cover with a nicely placed Drowned Earth tie-in, but to be honest the part I enjoy the most is Joker’s sneakers. I spy trench creatures from Geoff Johns’ Aquaman run and the Dark Knight: The Drowned from DC’s Metal event. So yeah I’m pretty much caught hook, line and sinker for those characters alone. But it gets better! The Drowned Earth event is ongoing and the Aquaman movie is out in a month. There’s countless reasons to get this book. Do yourself a favor. I love symbiotes. I also love Bill Sienkiewicz’s art. This cover, thus, is an instant success for me. Sienkiewicz’s style is a perfect match for Carnage, what with the alien’s fluid body and overall dramatic intensity. This image looks like it belongs on a trading card; it’s just plain awesome. Sometimes all a cover needs to get my attention is a super cute image. That’s exactly what this one delivers: Devil Dinosaur? Ice skating?! The scarf and beanie make it even better. This series’ first issue made a good first impression on me, and this cover does a good job capturing where Shuri’s at in the story. Her complicated thoughts about donning the Black Panther mantle are on full display here, as Sam Spratt does a great job rendering her thoughtful expression. The composition is also great, and the blues pop very well against the orange upper background.